Technology, of course, makes our lives better every day – but this heartwarming story proves that humans are not the only species on Earth benefiting from our ingenuity. 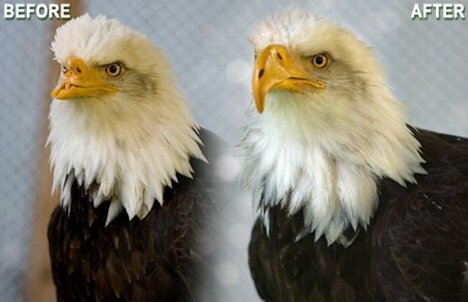 Beauty the bald eagle was shot in the face by poachers in 2005. Nearly all of her beak was blown off in the blast and she was unable to feed herself properly. She was rescued by a volunteer from Birds of Prey NW and nursed back to health. Although experts believed that Beauty should be euthanized, her caretakers knew that she had much more to offer the world. 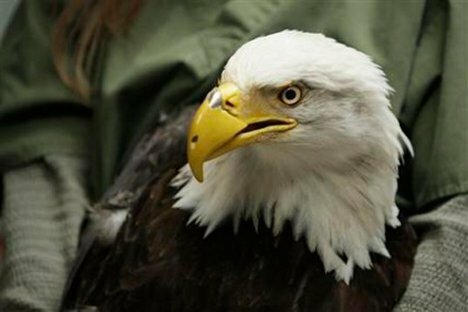 After a public birds of prey presentation, Beauty’s caretakers were approached by a mechanical engineer who offered his help to restore the majestic bird’s beak. 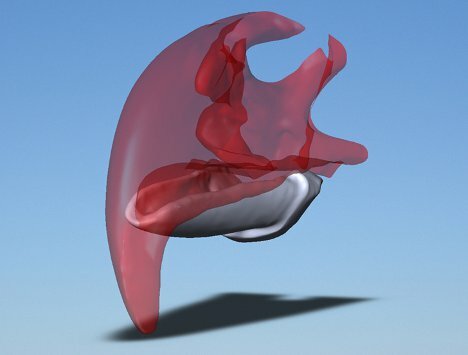 A team was assembled and a new beak was designed using the 3D CAD software SolidWorks. They attached a titanium baseplate to what was left of Beauty’s upper beak; the plate allows the curved beak to be removed as needed for maintenance and upgrades. The beak that attaches to the baseplate was created with a 3D printer. Using the rapid prototyping technique, the team is able to make upgrades and adjustments to the design quickly and easily. With her new beak, Beauty can feed herself, drink on her own, and preen her feathers. According to her caretakers, Beauty seems to know that the team is trying to help her because she never puts up a fuss when they have to adjust her new prosthetic beak. See more in Cybernetics or under Technology. October, 2012.